Do you want the very best salon experience to be more affordable? Boutique hair and beauty in downtown Durham. Each client gets the individual attention they need to leave looking their very best. As an expansion of Rock Paper Scissors Salon, we offer hair and beauty services at a lower price point. 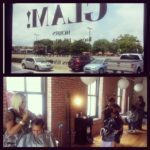 We thought downtown Durham could use a hair salon that was more accessible to a wider range of clients.